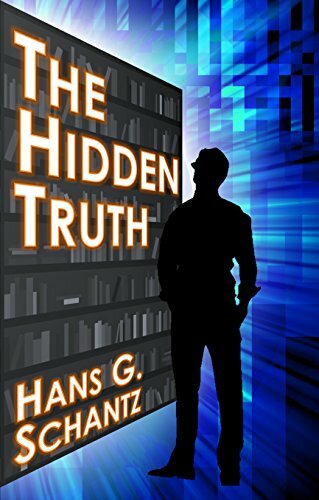 Stayed up late to finish The Hidden Truth: A Science Fiction Techno-Thriller by Hans G. Schantz because I had to – this is not the kind of book you stop with only 20% left to read. Nope, gotta see what happens. Short and sweet: a very good read, very much old school pulp, early Heinlein hard science + heroic heroes and derring-do. The story opens with some almost bucolic high school stuff, and establishes the main characters as believable denizens of a small country town. Then it adds electromagnetism and science history, mystery, conspiracy, and murder! Good stuff, good Sci Fi. I had to laugh out loud at all the points in the story where a poor sensitivity reader’s head would gratifyingly explode. Schantz keeps a completely straight face about it all, which only makes it funnier. Stuff like a most motherly mom who also can put a bullet between your eyes if you need it; free-market patriots armed to the teeth who the author of “If You Were a Dinosaur, My Love” would no doubt call rednecks are the *heroes*; a slightly alternative history in which Gore won, was killed when the 9-11 attacks succeeded in hitting the White House, and Lieberman (his vice president: McCain) got a bunch of carbon taxes through and is now taking credit for the last 20 years of flat temperatures even as atmospheric carbon keeps rising. The easily recognizable bad guys, they who are hiding the Hidden Truth, all have our best interests at heart, like a rancher has his cattles best interests at heart. Simply, men are men. Women are women. Boys aspire to be men; girls aspire to be women. People pray before meals. The government is assumed to be of, by and for the people – or else. Somebody here didn’t learn his Crimestop. Thank goodness. BUT – I hasten to add that all this is done organically, as part of a very good story, not through preaching or uncalled for digressions. If I were a kid reading this, I probably wouldn’t even much notice. The protagonist and 1st person narrator (whose name I think is Peter, but his name is mentioned so rarely in the book I’m suddenly unsure) a very bright kid (comparisons with Kip from Heinlein’s Have Spacesuit, Will Travel are apt) stumbles across a curious passage in an old book on electromagnetism. He enlists the help of his best friend and debate partner Amit Patel, a leet computer geek and would-be lady’s man, to investigate. They snoop around a bit, looking for other references that might explain the peculiar wave interactions described in this one dusty book from a mostly forgotten library at what used to be the local technical college. All hell breaks loose. A girl bookstore clerk who helped them out is found murdered along with her boss. Dad, mom and Uncle Rob all get involved, trying to lay low while also trying to figure our what’s going on. And it gets more interesting from there. Schantz writes in a direct, no-nonsense style and ladles out the science in easily-digestible portions. The ending is a bit of a cliff-hanger – so, on to volume II, A Rambling Wreck. It’s like he planned it that way! Check it out. Under 300 pages, so you can read it in a few sittings. 5 stars. Sounds cool, and it’s only $2.99 on Kindle. Sold. Already got it, started it a couple days ago, will review when I finish. Lots of fun.